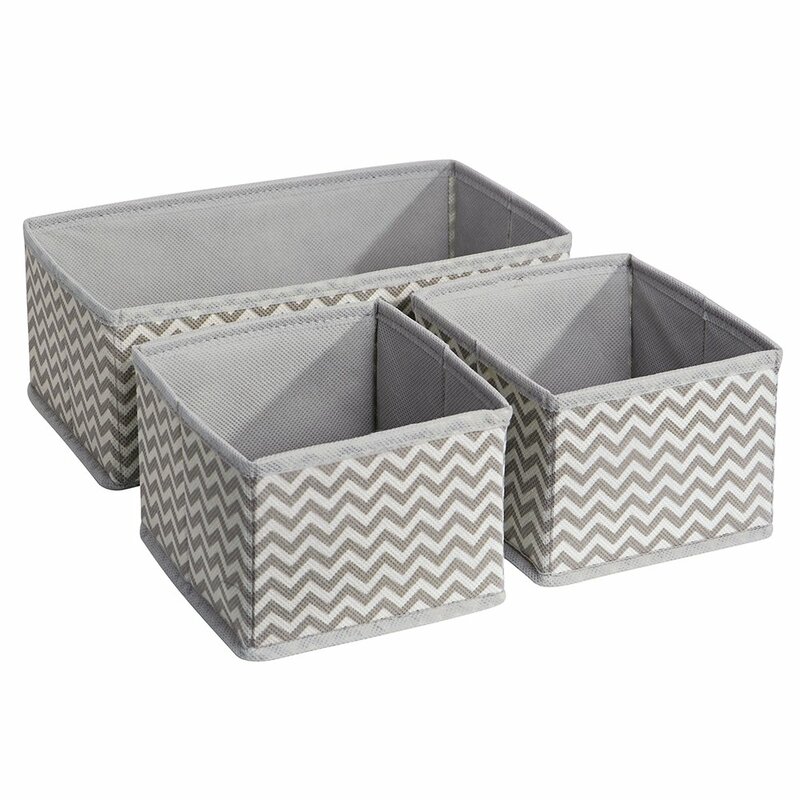 Home › Interdesign Chevron Fabric Closet/Dresser Drawer Storage Organizer For Underw..
Interdesign Chevron Fabric Closet/Dresser Drawer Storage Organizer For Underw..
InterDesign's Chevron Fabric Storage collection is functional and stylish. This 3 Piece Dresser Drawer Organizer Set is perfect for storing scarves, socks, undergarments, accessories, and much more! It can be used for inside the drawer, but it's stylish enough for your dresser top!